Sometimes, a game just needs a new edition. Maybe some old mechanics aren't quite working the way you'd hoped. 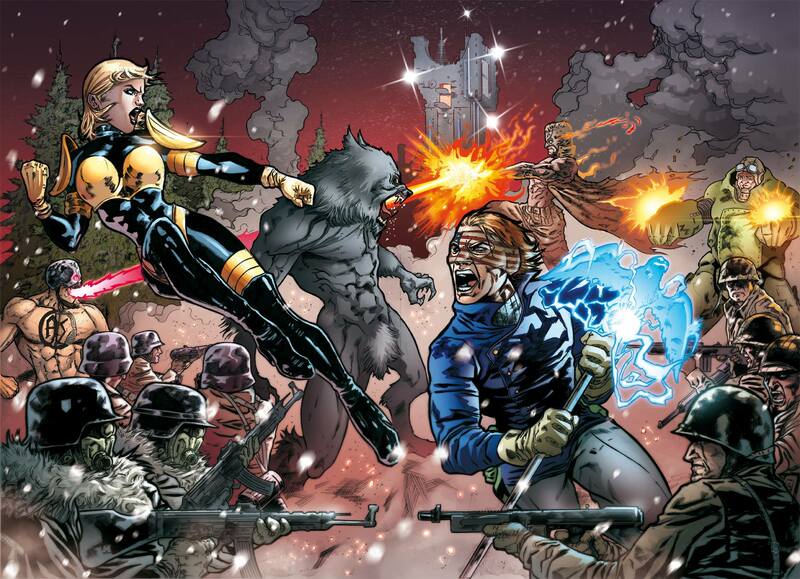 Or new releases make old rules feel not the best anymore. Or things just feel stale. For whatever reason, new editions can breathe life back into a game. 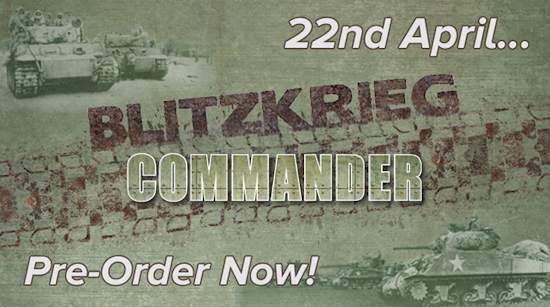 Pendraken Miniatures is coming out with a new edition of Blitzkrieg Commander, and it's up for pre-order now. Welcome back to Wednesday, beautiful readers. As is our custom, we've collected up some of the bite-sized stories we've come across in the past few days and present them to you now. In this batch we have: Expedition Adventure Card Game Coming to Kickstarter, New Undead Warband releases at Pendraken, Blackwater Gulch Savage Beasts Kickstarter Coming Soon, Hitech Miniatures Releases Lord Cruentus, First Team Yankee Models Sighted at Breakthrough Assault, Fireforge Crusader Archers Pre-Order available, Treasures of the Haunted Tower Now Available, Ironwatch releases their State of the Watch for 2015-2016, Primer on Patrol Angis Posted, ClearHorizon Miniatures releases the 15mm Armadillo APC, and New 30mm and 40mm Cobblestone Base Deals from Tabletop-Art. 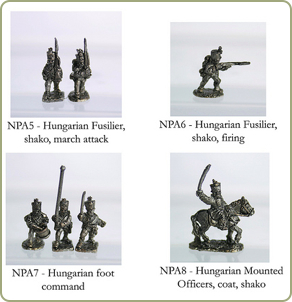 Pendraken Miniatures released several sets of new League of Augsburg cavalry minis over in their webshop. 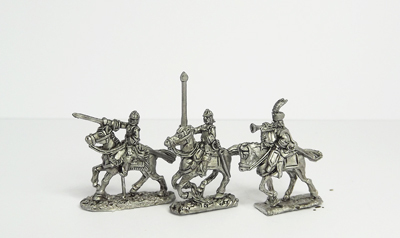 After getting held up in the moulding queue, the new 10mm League of Augsbury cavalry are now available! The figures are all checked and are going into production moulds in the next couple of days. The first of these new types are in hat with the option of sword or pistol, and have their swords on the waistbelts instead of the crossbelts. Along with a small epaulette on the right shoulder, this makes them suitable for use as French cavalry. 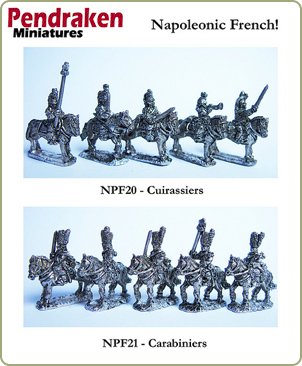 The second half of this release sees the addition of cuirassiers to the range, along with their command. 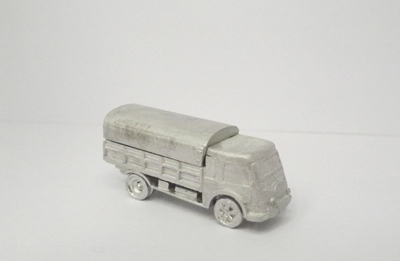 Pendraken has some released some new 10mm civilians as well as cars and buses over in their webshop. 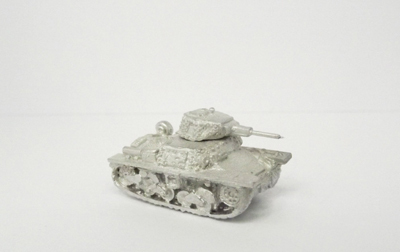 This month we've got a few handy additions to the 10mm Sci-Fi ranges for everyone! 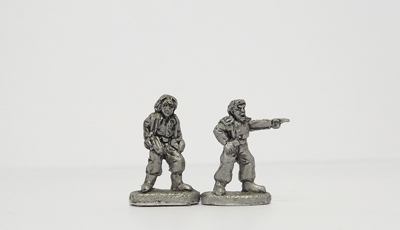 First up are some new civilian codes, sculpted by Phil Lewis, to replace the older ones in the catalogue. 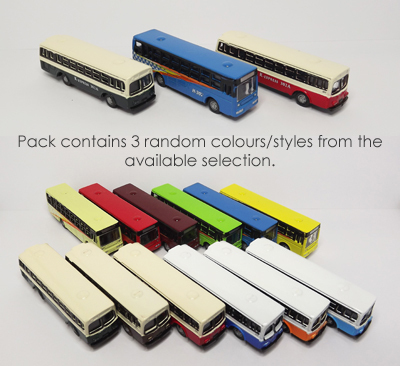 Along with these, we've got some nice little N-scale plastic cars and buses to fill your cityscapes and to give the Zombies something to swarm over! 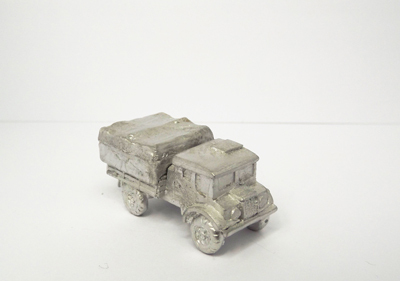 Pendraken Miniatures has increased their 10mm Modern Vehicles range with some new releases. 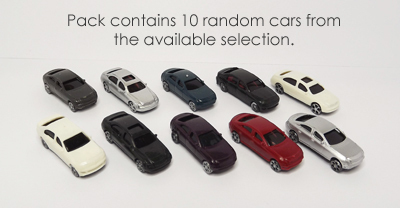 Our first batch of Modern vehicles have been selling very well, so it's time for some more! This time we've got a nice selection of Soviet developed vehicles, some of them in use from 1950 right through to the present day. 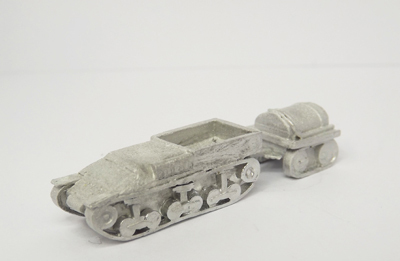 Pendraken Miniatures expands their WWII range of 10mm vehicles with a couple new releases. We've got some nice additions for the WWII fans this month, with additions to the British, Russian, Italian and French ranges! 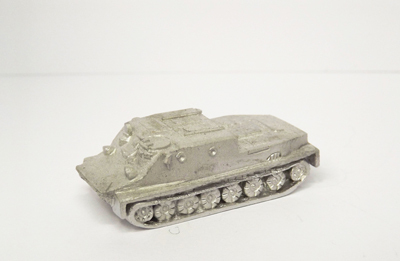 On the armour side we've got BA-10's, Fiat L6's and Char D2's, plus some trucks and ammo carriers to keep them supplied! Some of these weren't previewed on our Forum, so there's hopefully some nice surprises in here for some folk! 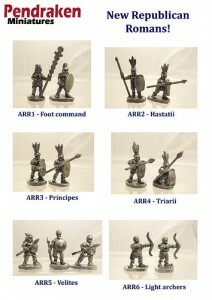 Pendraken Miniatures leaves the steppes and invades Europe with their new 10mm Mongols minis line. Among these 20 codes we've got light, medium and heavy cavalry, each in bow, sword or lance variations, plus both mounted and foot command figures, foot bowmen, civilians and more. We've even got some Yurts to give your tired troops somewhere to rest up after a busy day expanding the empire! For those looking to dive straight in, we've put together a couple of army packs as well, each one containing a handy mix of horse and foot to get your conquests started. Pendraken is now taking entries for their 2014 painting competition. I'm certainly not a good enough painter to win, but are you? Just a quick message to let everyone know that the 2014 Painting Competition is now open! There's already been some excellent entries, but with the competition open until midnight on February 28th there's a lot of time yet to get your entries in! This year we've got over £500 worth of prizes, donated by some of the top names in wargaming, including Warlord Games, Colonel Bill's, Warbases, Miniature Wargames with Battlegames, 4Ground, Wargames Emporium and Total Battle Miniatures! For all of the details on the competition, the rules, prizes, and of course the entries, head over to the Forum now! 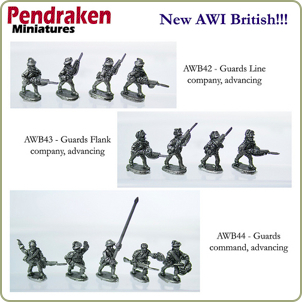 Pendraken Miniatures will be giving away £100 when they reach 100k posts on their forums. We're getting very close now to the 100,000th post on our Forum, so we've decided to celebrate the occasion by having a bit of a giveaway! Whoever can guess the day and hour of our 100,000th post, will win a massive £100 worth of Pendraken goodies! Simply state the day and hour you think we will hit this milestone, and we'll see who can get the closest! Pendraken Miniatures is running their painting competition over on their website. Are you good enough to win? Last year we had a massive 320 entries, so having another competition for 2013 was always guaranteed! This year we hope it will be even bigger and better, with more entries and more prizes! As always, the competition will be running throughout February, with the closing deadline being at midnight on Thurs 28th Feb. That gives everyone loads of time to get their orders in and get their entries painted up! If you've got any questions, let us know! This month's shiny additions come in the form of the Republican Romans, which were previewed on our Forum some time ago. With these now available, you can get one half of your Punic War's ready, just in time for the Cathaginians which will be following on shortly. And if you're not sure what you need, why not go for our handy Republican Roman Army Pack, giving you all the basics you need to get started! This year, thanks to the leap year, the competition will be running for 4 weeks and 1 day, starting on Feb 1st, and running through to the 29th. And this time around there will be 7 categories! We've split the Foot category, to separate those rather colourful 18th C. types from the endless green/brown/greyness of the 20th C. Also, we've created a separate category for all of the Fantasy & Sci-Fi entries. And finally, we've added an extra Open category, to allow entries of any size, from a small snapshot of your army, right through to the whole table if you fancy! This month's releases sees some more useful additions for our AWI ranges, plus some handy skirmishers for the late 19th C.! Hopefully that's enough to keep everyone busy for another month! It's that time again, and we've pulled out all the stops this month to get a bumper collection together, so here are 48 shiny new goodies for your delectation. We've got the release of our new WW2 French, along with some new codes for the Russians, Germans and Brits while we're at it. The Brit codes will also be useful for all you AVBCW fans, as will the various new vehicles we've got in this months batch. 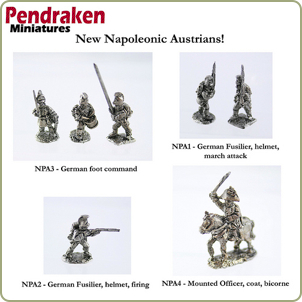 Going back a century, we've got some more Austrians for our expanding Napoleonic range, and finally the artillery for the new Schleswig-Holstein range. We've got a bit more than originally planned this month, as we've managed to fit in some more Napoleonic French, and also the first of the Austrians! Along with the arrival of the A9 and A10, plus a variety of odds and ends, there's something here for everyone! The missing codes from last month are also nearly ready, so keep an eye out for those. After the huge success of the Painting Competition, we have decided to follow it up with the very first Pendraken Sculpting Competition. This Competition is open from May 1st through to July 31st, so plenty of time to plan your entry. The theme for this contest is to design a new Dungeon Monster to fit in with our Dungeon range. It can be absolutely anything you wish, from a scurrying little grub, to an all-powerful Demon Lord! Your entries will be judged on the quality of the sculpting firstly, but also on originality and imagination, so you'll need to give your Monster a name, and tell us what it is and how it lives. This contest is all about having a bit of fun and seeing what you can come up with, so if you've ever fancied having a go at pushing some putty about, why not give it a shot? Good luck to everyone! 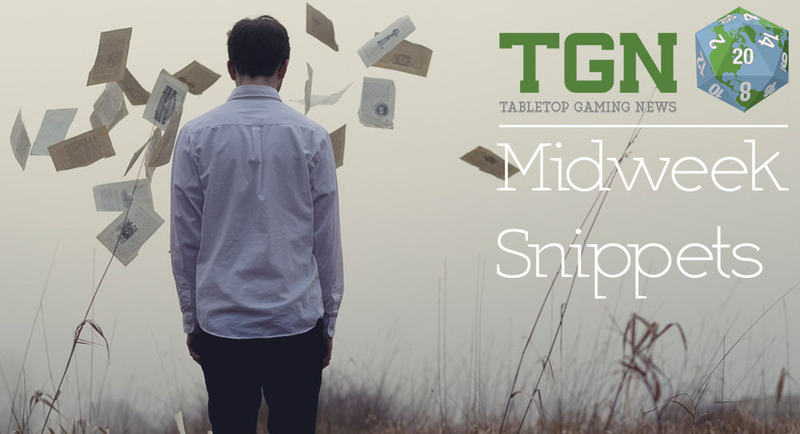 It's the start of another month, and here's another 46 releases for your 10mm gaming pleasure. The biggest news is that we've managed to cram not one, but two brand new, eagerly anticipated ranges into this months offerings, with both the League of Augsburg, and the 1st Schleswig-Holstein ranges making their long-awaited debuts. We've had so much interest in these two lines, and we're sure they've been worth the wait. 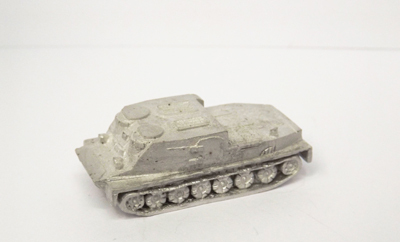 As if two new ranges wasn't enough, we've also added a couple of items to the WWII range, in the form of the Sdkfz 231 6 rad, and also a 76mm AA gun for the Russians. And on the BKC front, we've added new 2000pt armies for 1940's BEF and Germans, and also a Pacific pair of US Marines and Japanese. 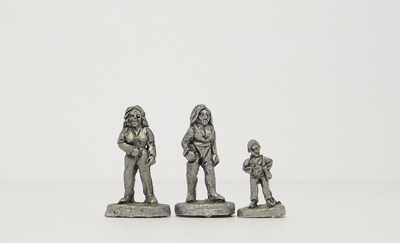 For all the 10mm Dungeon fans, we've finally got the first 5 Theme Packs ready. There will be more of these coming in the future, so keep an eye out for those. In the Scenics ranges, we've added a nice little assortment of palm trees to our tree range. At £2.70 for 10, these are fantastic value for money, and would be perfect for anyone currently considering getting into some Pacific gaming. We've just a variety of pics of the latest masters to our Forum. 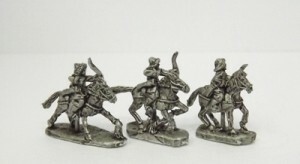 First up, we've got another batch for the upcoming Schleswig-Holstein range, with some cavalry and artillery crews. 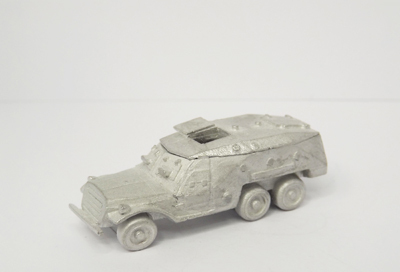 Next up, there's an Sdkfz 231, which has been designed by a new sculptor. And finally, we've added a couple of pics of a 16th C. 2 winged Polish Hussar. Let us know what you think.